Summary: According to her guidance counselor, fifteen-year-old Payton Gritas needs a focus object—an item to concentrate her emotions on. It's supposed to be something inanimate, but Payton decides to use the thing she stares at during class: Sean Griswold's head. They've been linked since third grade (Griswold-Gritas—it's an alphabetical order thing), but she's never really known him. I've heard nothing but great things about Sean Griswold's Head, and would absolutely love to win it. I have been seeing this all over the net and would love to read it. Yes!I would love to read it. Thank you. First time actually reading the summary,lol. Include me in this one please. Loved this book, would love to own a copy!! This one has been on my wishlist for a while. I would love to win! I've heard a LOT of great things about this one! I want to read this book so bad! I have read nothing but wonderful reviews on this for weeks. Enter me please! I've heard good things about this! This sounds really good, and I've heard it's really clean, which is a huge bonus. Oh, I've heard really good things about this book, namely that is immaculate in regards to content. Score! This one looks awesome, Thanks for the contest! I've seen nothing but good things in the blogosphere about this one! I've heard this one is really cute! I love this title & have heard great things about this one! It looks cute. Want to read this one really bad! 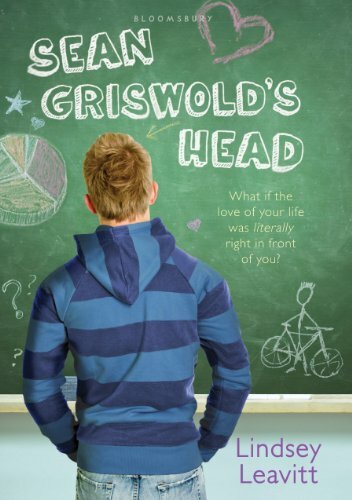 You have no idea how much I am craving to read Sean Griswold's head! I would be so happy to win it! I've heard lots of great things about this one. Thanks for the giveaway! I've heard so much about this one! I have heard great things about the book! This title and cover make me laugh. I've heard so many good things about this book! Would love to win it! I've had this on my wish list for a while now. Sounds great! Would love to win this book. Thanks! Hear great things about it! Me please! Ive heard great things about this! I've heard so many good things about this one! Thanks for the giveaway!